will do. 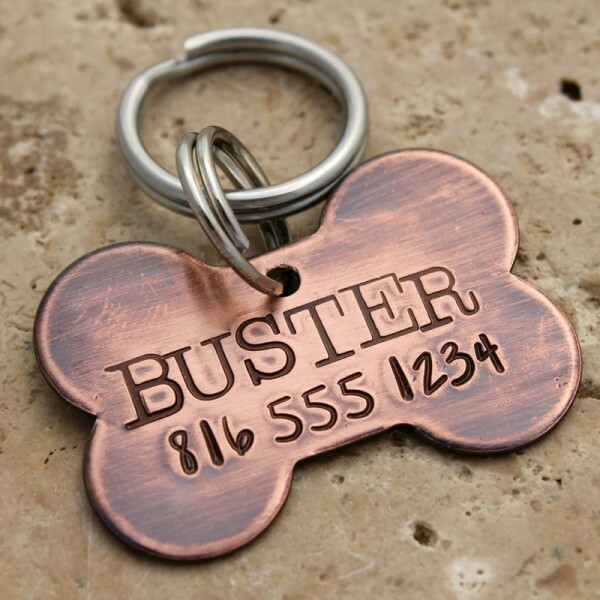 Crafted of solid copper, our tag is sturdy but light enough for dogs of any size! 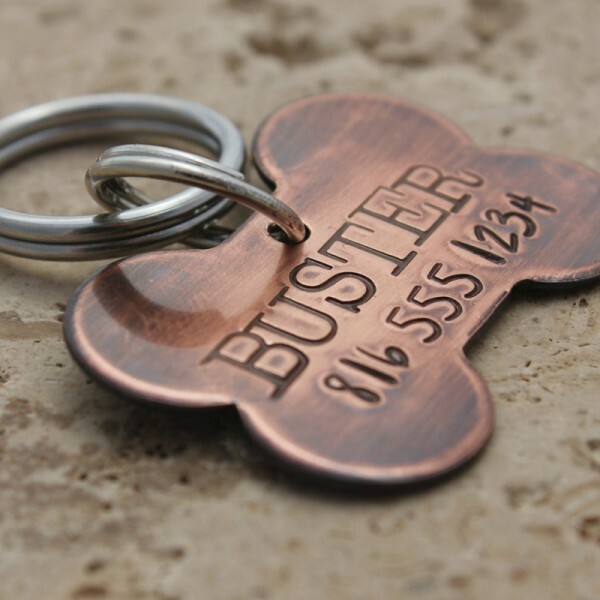 Tag will come attached two sturdy stainless steel rings. Measures about 1.102" (28mm) long and 0.55" (14mm) wide at its widest point. 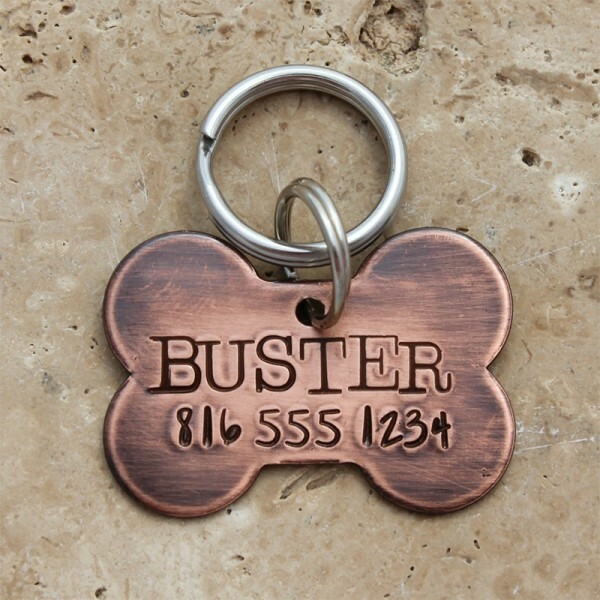 Question about Bone Shaped Dog Tag is Successfully Submitted.